My first day on the job as Memorial’s president and vice-chancellor was July 1, 2010. On that same day, my first official act was to lay a wreath on behalf of our university at the National War Memorial in downtown St. John’s. Today, as then, I am humbled by our history. In the dark days following the devastation of the First World War there was resilience, strength and determination, and there was a desire to look forward and build a better future. The founders of our university reached across denominational lines to raise an institution of higher learning, one to honour the sacrifice of those who were lost and those who returned. The university would be a living memorial, one that would have a special responsibility to the people of Newfoundland and Labrador. The centenary of the First World War is an occasion of great significance for this province. At Memorial we remember in many ways, but particularly through our WW100 Commemoration Program, an initiative that began in 2014 and will continue to support a range of commemorative activities through 2019. In the pages that follow, our alumni tell the stories of their own acts of remembrance, each one a personal reflection on their relationship to our shared history. That expression takes many creative forms . . . in words, art, music, scholarship and more. In the Last Word, author and alumnus Dr. Kevin Major eloquently provides his thoughts on the faces of The Great War. These are indeed some of the very personal ties that bind us to people and place. Clearly these tributes are offered with great pride by each of our contributors. Pride is also what we should all share in the collective demonstration of our province’s growth and progress. Since our humble beginnings in 1925, Memorial University alumni have played a pivotal role in building Newfoundland and Labrador, first as teachers educating young people in towns and outports, and later as engineers, medical professionals, business leaders and artists — just to name a few professions. Our reach and influence has grown exponentially, now with national and international impact that resonates more loudly every day. That work is actively pursued by each one of you, as well as by the remarkable contributors to this issue of Luminus. 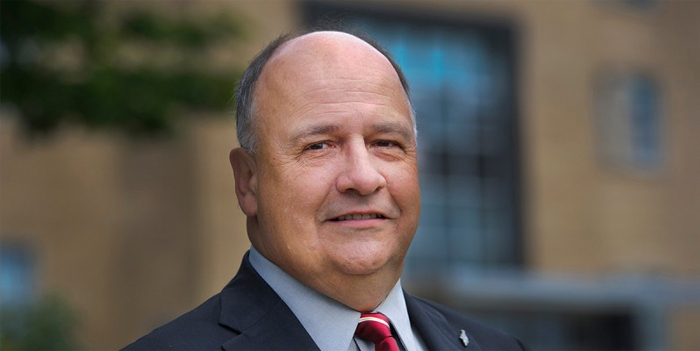 Dr. Gary Kachanoski is the President and Vice-Chancellor of Memorial University.